“Engineering” is a broad term that can apply to jobs ranging from digging ditches to advanced statistical analysis. Engineers write code; they also build bridges. And they interview for all those jobs, making the process varied, challenging, and potentially much harder to dress for than a doctor or lawyer’s interview. Applying for a job with a major engineering form can take multiple visits of multiple days each, or it can be a forty-five minute all-or-nothing chance to impress. This article makes recommendations for each situation, and picks out the constant standards running through all versions of the engineering interview as well. Before we go into specifics, it’s important to touch on the common engineering ethos. It’s something of a generalization to say that engineers are unimpressed by non-functional aesthetics, but the generalization makes a handy guideline when dressing for interviews. Employers are less likely to be impressed by fashionable flourishes than they might be at a law firm or a financial office. Dressing practically will count for a lot, and dressing impractically may be a stroke against you even if the effect would normally be considered a flattering one. To that end, you will want your interview clothes to express functionality. This may mean keeping things visually streamlined, but it can also mean incorporating details that evoke hands-on work. And it will certainly mean paying attention to the practical tools you carry with you — no one should be showing up at an engineering interview without a pen and a mechanical pencil in the pocket, even if it’s not a hands-on part of the application process. At their most traditional, interviews are still sit-down exchanges between a prospective employee and a hiring manager of some kind. They can range from single sit-downs to prolonged visits, but in either case your appearance is part of the evaluation. It makes the first impression and the last one. Appearing at an interview well turned-out is more than a superficial gesture — it shows an awareness of standards and an ability to adapt to them, which is as much a job skill as any drafting or mathematical technique, and it demonstrates attention to detail and an ability to do the basic research for a project. An interview suit should be simple, conservative, and restrained. No one is likely to hold an overly-subdued style against an applicant, the same cannot be said for flashier styles. 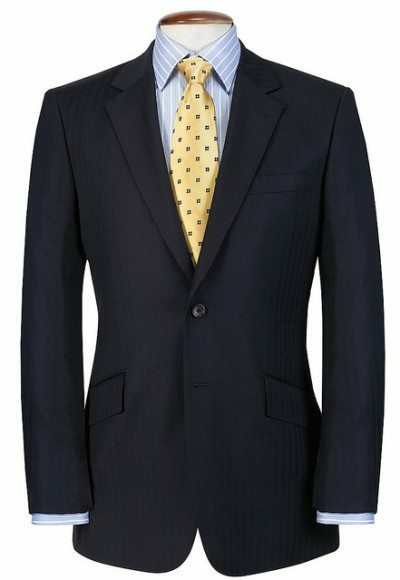 The standard business suit in America is a single-breasted, two-button model with notched lapels, most traditionally done in black, charcoal gray, or navy blue. We caution strongly against deviating too far on any of these points in the primary interview suit — there’s lots of room for stylistic innovation in other wardrobe staples, but stick to the basics for job interviews, especially first meetings and formal sit-down interviews. There’s no reason to cut corners on a suit that’s representing you to employers — find something in a good wool with enough weight to ensure a clean drape. A small amount of other fibers in the blend is perfectly acceptable, and may even give your suit some added durability, but avoid anything with a high percentage of synthetic fiber, or anything that has a slickly smooth sheen to it. The matte finish of good wool gives a neat drape and a restrained personal effect that projects neatness and tidiness at an interview. A suit that doesn’t fit at all the key points is a suit that’s making you look silly in at least one place. 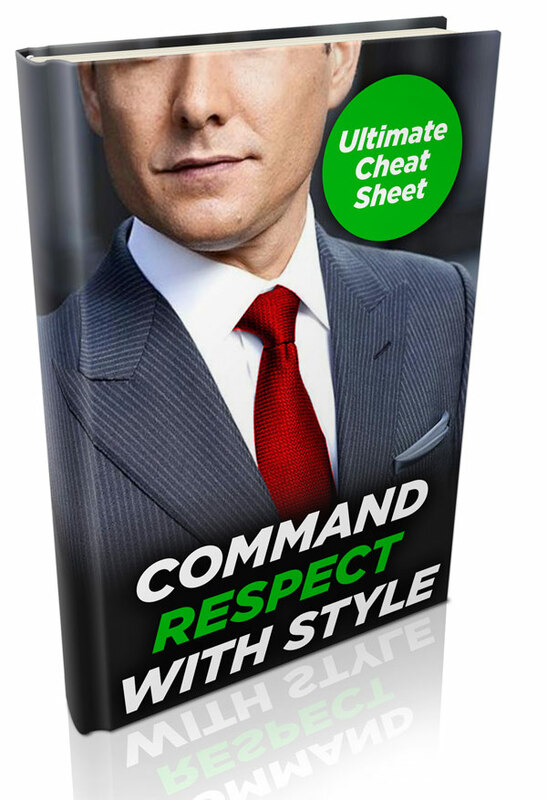 You can’t really afford even small gaffes at a high-stakes interview, so have your suit adjusted if it wasn’t tailored to your measurements in the first place: the sleeves should fall to the base of the wrist and leave 1/2″ or so of shirt cuff visible, the lapels should lie flat when the jacket is buttoned (which should not cause any pinching or bunching at the waist), and the bottom end of the jacket should fall far enough to cover the curve of your bottom. 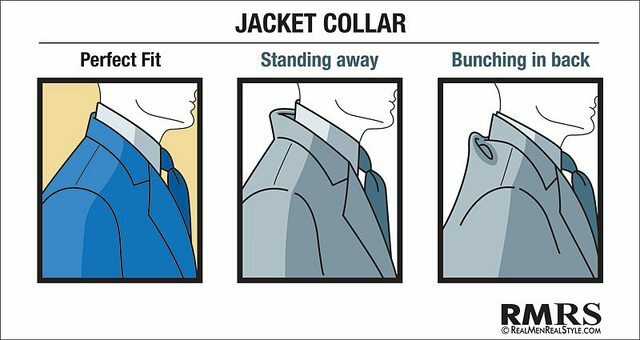 The collar should lie flat against your neck, with 3/4″ or so of shirt collar showing above it. As with any clothing measurements, the best judge of fit will always be trying the suit on. Make sure that it rests without pinching or bunching even when you move, and that the fabric is not loose enough to fold or billow on its own. Anything that causes discomfort or unattractive wrinkling should be fixed before any interviews. The most formal option in men’s business wear is a plain white shirt with a well-pressed, non-button-down collar. It’s always a safe option for an interview, though hardly the only appropriate one — use it as your baseline rather than your absolute standard. Bright colors or bold patterns would be inappropriate for an interview, but some subtle elements in either area help make a conservative outfit more unique without appearing frivolous. If you opt for a white shirt, consider a subtle texturing to make it more eye-catching. A herringbone weave in plain white is much more interesting to the eye than untextured monochrome. Modest patterning is also appropriate, especially on a primarily white base; small, regularly-sized checks in light blue — with their visual nod to graph and drafting paper — are particularly worthwhile for engineers. In an interesting reversal of the usual business preferences, engineers may find employers more willing to accept button-down collars and less inclined to look favorably on French cuffs. 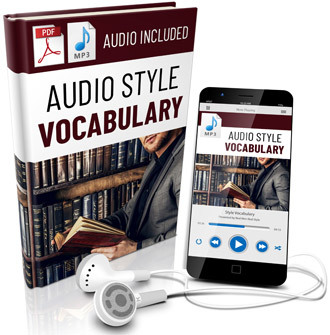 The former have both a practicality and a traditional association with manual labor that go over well in most engineering firms, while the latter are a purely fashionable gesture that can get in the way of work with the hands. A tie is really only needed for the sit-down parts of the interview process, and may actually be a hindrance for other aspects. 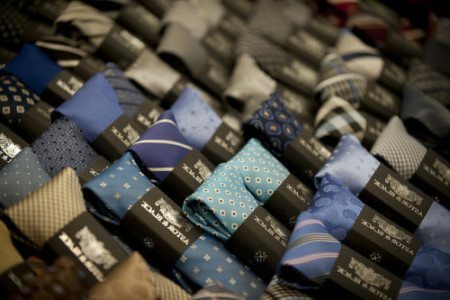 This doesn’t make your tie selection unimportant — in fact, it makes it more important, since you’ll likely only be displaying one tie, or two or three in the most prolonged applications. Try for a restrained pattern rather than an unbroken monochrome, especially if your suit is a solid color. The most important rule with patterns is to wear patterns of different sizes and scales; don’t match a narrowly-striped shirt with a narrowly-striped tie. Tie clips or chains are another adornment that would usually be considered excessive or inappropriate but may be seen as acceptable and even admirable by engineering supervisors. If you’re uncertain, slip one in your pocket and have it on hand to attach if a tour of a facility goes out onto a mechanized floor, or an interview includes a meal. You want to keep the visual clutter to a minimum during your formal interview, and at all stages of the hiring process in general, so opt for a pair of black Oxfords without tips or edging of any kind. A good shine the day before the interview should leave the leather smooth but not overly reflective — you don’t want to appear overly flashy, and institutional lighting tends to lend itself to glare. Socks — a minor issue, but a relevant one — should be matched to the color of your trousers, not the color of your shoes. 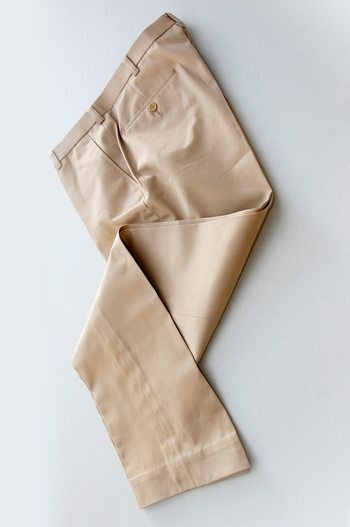 That prevents your leg from looking shortened if the trouser cuff rides up. They should also be free of holes, even where you think no one will see them, since there’s always the unlikely-but-real possibility that you’ll enter a facility with specialized footgear and need to change in front of others. The full suit is the best-bet default for most interviews, however occasionally hiring managers will specifically mention that there’s no need to wear a suit. A dress shirt or even a polo and slacks are fairly standard in engineering culture these days, so an interviewer may simply want to set the tone of the firm up front, or the request may stem from a physical need. If the interview includes a visit to a job site or some other form of hands-on activity, a full suit is certainly not the most practical option. The caution to keep in mind with a “no suit” interview is that you’re trying to avoid looking like every other man at the firm. You may end up spending your workdays in blue button-down shirts and khakis if you get hired, but wearing that outfit to the interview tells the hiring manager that you’re interchangeable, which means replaceable, which means not the best investment for his budget. Sport coats are a powerful tool for dressing up an unmatched outfit, and should always be your non-suit interview default unless there’s a safety concern prohibiting any loose garments (or, of course, if you’re specifically told not to wear a jacket for any reason). 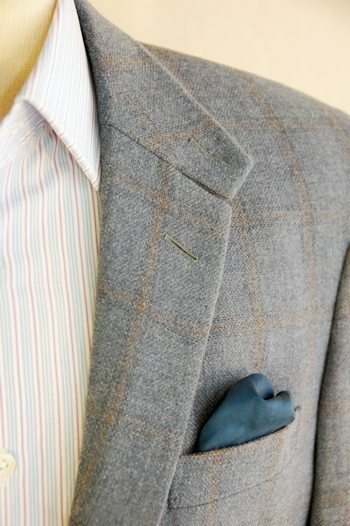 Regardless of the corporate culture you’re stepping into, the shape of a well-fitted jacket will make you look more streamlined and balanced than a shirt alone can; if you’re truly worried about looking overdressed, opt for a lighter color or even a subtly patterned fabric in the jacket. Vertical striping or a muted check can make it clear that you’re wearing a coat as part of your personal style rather than as a concession to a culture your employers are trying to distance themselves from. A good sport coat can also be worn without a tie, so long as the dress shirt beneath is of good quality and the collar is not spread so far that its tips disappear under the jacket lapels when the collar button is undone. The lower half of an unmatched outfit requires just as much thought as the upper. Dark wool or cotton slacks are ideal — jeans are too informal, and khakis are so ubiquitous in business casual attire that you’ll just blend right back into the herd. Neutral grays, browns, or blacks are easy to work with, and give you the option of a restrained combination or a brighter, more aggressively casual palette, depending on which seems called for. Shoes should stay reasonably conservative, though you can wear brown rather than black if it matches better; be sure to change belts as well so that the two leather items match. Whatever the overall dress code, keep the engineering focus in mind and pay attention to details of preparedness. Wear a watch so that you don’t have to fish your phone out to check the time. 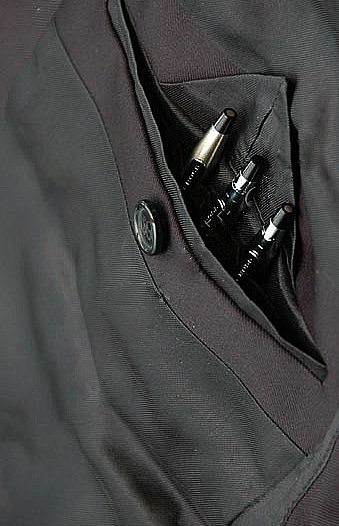 Some firms will be completely computerized, but have a pen and a mechanical pencil in your inner jacket pocket for the ones that aren’t. Get a good haircut or at least a trim around the ears and neck a couple days before the interview, and make sure you’re showered and scrubbed. Avoid cologne or strongly-scented aftershave, particularly if you’re going to be in any kind of small spaces; just soap and a mild deodorant is more than enough. Remember the basic ethos here — function balanced with form is going to win the approval from hiring managers.